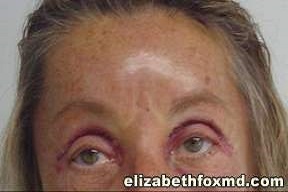 Description: Dr.Fox performed an endoscopic browlift and an upper eyelid lift on this wonderful lady from North Naples, FL. 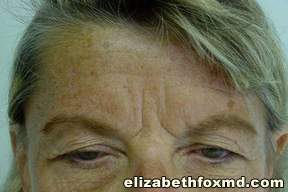 She loved the results, it brightened up her whole face and she now feels much more confident. This photo is 1 week post-op.